Minister of Finance and Planning, Dr. the Hon. 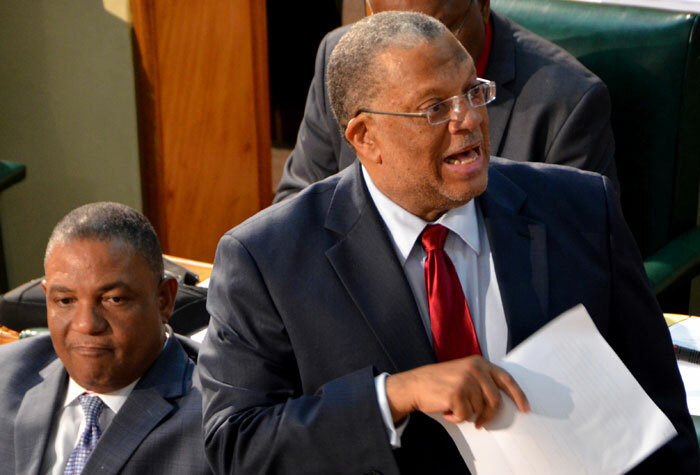 Peter Phillips, says the country must stay the course of structural reforms to obtain investments and job creation. Minister stated that the Government economic reform programme is on track, and confidence in the investor and business community has returned. Dr. Phillips argued that the current reform process involving the public sector and other legislative changes are being done to create a more vibrant economic environment for business operation. With the Jamaican economy experiencing growth, Minister of Finance and Planning, Dr. the Hon. Peter Phillips, says the country must stay the course of structural reforms to obtain investments and job creation. Opening the 2014/2015 Budget Debate at Gordon House, on Thursday, April 17, the Minister stated that the Government economic reform programme is on track, and confidence in the investor and business community has returned, with Jamaica passing all the International Monetary Fund (IMF) tests. “We have had three consecutive quarters of increasing growth; each level higher than the one before. We have received in excess of US$500 million from our multilateral partners, the debt to Gross Domestic Product (GDP) ratio is moving down, and confidence has returned and is moving up,” he told the House. He said the general populace of Jamaica “who endured increases in the cost of living,” the bond holders, creditors, including pensioners and others who agreed to lower returns on their investment in order to facilitate the economic reform effort, must be always remembered. “The only way out of our present difficulties is to continue with the programme, pass more IMF tests, get access to more multilateral support, secure investments and achieve our mission of sustained economic growth, and job creation,” the Minister said.